Liverpool are set to take on Huddersfield Town in the midweek Premier League action on Tuesday night, 30th January 2018 at the Kirklees Stadium in Huddersfield. Its a massive game for Liverpool who are coming into this game on the back of two defeats and it left a bad taste in a mouth after incredible run of form which included that 4-3 win over City two weeks ago. Jurgen Klopp will be hoping his team can get back on winning ways and keep themselves in good shape as far as Champions League qualification is concerned. The game will kickoff at around 20:00 uk time and we will have live links closer to the kickoff. Team News & Lineups: Liverpool need to make sure their defensive issues sorted as soon as possible otherwise the way they are leaking goals sooner or later it will have Jurgen Klopp axed as manager. Dejan Lovren came under the firing line last weekend after his horrid performance against Spurs and he might be benched with Matip and Gomez given the nod in central defense. While lack of goals from Firmino is also a worry but he still their best option upfront while Salah, Coutinho to continue in attack while Can, Henderson and Wijnaldum to start in central midfield. It will be a remarkable season for Huddersfield if they can finish the season on their current league position 11th but bigger test awaits in the remaining of the season. However one has to give credit to Wagner as he sits just 1 point behind Liverpool in the table after taking over as Huddersfield manager. He was assistant to Klopp at the start of his anfield tenure. This is how I expect both teams to lineup on Saturday. Liverpool are still without Adam Lallana who is their creative spark while Sadio Mane might be fit to get a place on the bench. Match Predictions: Liverpool have been so unpredictable so far this season. They were installed as one of the favourites to win the league this season however 2 wins in the last 9 matches in all competitions has put their title challenge in jeopardy. But Jurgen Klopp’s teams often produce one of the those results where they blow away teams and look menacing and this is one of those games. 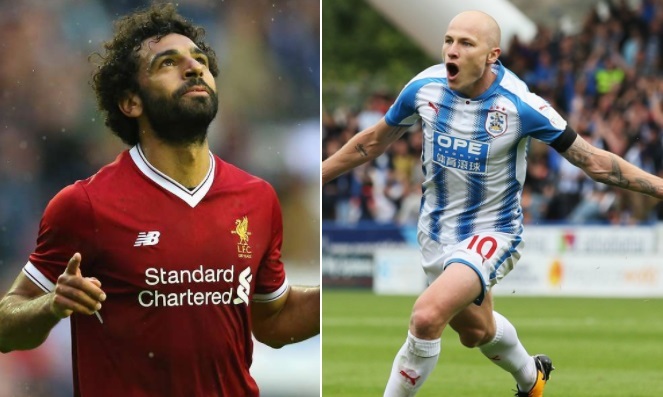 Huddersfield will be confident after their historic 2-1 win over England’s most successful club United over the past weekend and they might take the game to Liverpool pretty much playing right into their hands. I am going with a comfortable 3-1 win for Liverpool in this one.